We revist the “mad” women of Harry Potter, both good, bad and somewhere in between. Madness is a fluid thing. To be “crazy” has no fixed meaning, it changes to fit the definition required – whether that’s a quick fix to deflect blame for the powerful (think racism, terrorism or fascism damagingly dismissed as “mental illness”) or a cunning way to dismiss the powerless: She’s not telling the truth! She’s crazy! Madness may be utterly meaningless, but it has infinite power. In the often unreal space of mental illness, the fantasy world of books, movies and television can intertwine with one’s lived experience. I hated reading until Harry Potter came to me as a traumatised ten-year-old. In between bouts of psychosis and extreme suicidal ideation I would read, and read, and read. They were big books too, so thick, no picture – but it was worth it. A whole world just for me! Now isn’t that magical? As we approach the twentieth anniversary of this wonderful, wizarding world, I find myself returning to the “mad” women of Harry Potter, both good, bad and somewhere in between. Bellatrix Lestrange, Moaning Myrtle, Luna Lovegood, Professor Trelawney... Who are these characters beyond their exaggerated mannerisms and super cute style? What are they telling us about the cultural codes of madness and the construct of the “mad woman”? Because despite being more distressed when I was sorted into Slytherin than when I was presented with a personality disorder, pop culture and medical realities cross over in interesting and unexpected ways. These culturally agreed upon outfits of “madness” are retold and remade over and over. Who can wear the costume of madness, and in what way, in the popular imagination? First, let’s go for one of for one of the “good guys”. “Looney Luna”, the dazed Hogwarts student as pale as a full moon, is portrayed in the films with a quietly mesmerising performance from Evanna Lynch. Bullied for her “horrid” dress sense and marked out for her “distinct dottiness”, Luna was one of my teen idols. Young, brilliant, equally skilled at making novelty hats, riding thestrals and saving the wizarding world, Luna is up there with the best of them! An heiress to madness, as the child of Xenophilius Lovegood, notorious for his “lunatic rag”, The Quibbler (known for its coverage of elusive magical creatures and defiantly radical politics), Luna, in her ability to embrace the impossible, is often characterised as an ‘anti-Hermione’, she is more than a mere shadow of another girl. Pale, pop cultural misfits are funny things. 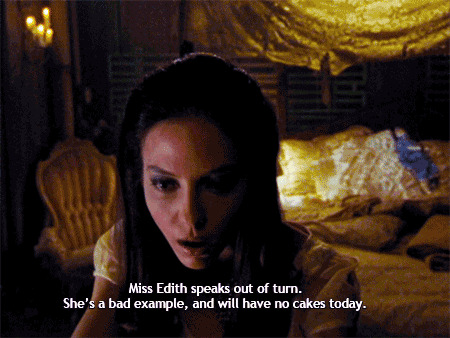 Winona Ryder, Audrey Tatou in Amelie, Zooey Deschanel, Kate Bush… sometimes outsiders are more insiders than you’d realise. Nonetheless, I will fangirl for Luna forever. Perhaps seen as another antagonist to Hermione’s bookish rationality, and an adult mirror for Luna’s own dream logic, Professor Sybill Trelawney is a shining star in a long line of magical “mad women”. Can’t you just imagine her and the Log Lady from Twin Peaks bonding over a pint of Pumpkin Juice? The links between madness and the mystic run deep, it is no coincidence that Sybill’s Grandmother takes the name of Cassandra. Who would believe a mad woman? But who but a mad woman can see the truth in a chaotic world? (Luna, too, is characterised as keen observer, after all.) The pop cultural mystic provokes so many questions in regards to the mythology of madness (an often unhelpful fetish for those of us who are actually struggling with our mental health) and broader questions of believing women when we are constantly dismissed as irrational, ridiculous or unreliable. Though her exaggerated costume and “woolly” predictions could reduce her to a mere comic support act, Sybill has far more nuance than the (seemingly) ridiculous individual we are presented with in the start of the third book. Throughout the series, her character deepens and develops: we see a heartbreakingly vulnerable side to her in the fifth book, and though her gift for The Inner Eye may have been dismissed early on, her predictions eventually become essential in defeating Voldemort. Sybill even plays a fearless role in The Battle of Hogwarts, knocking out Death Eaters with her crystal balls. One of Harry Potter’s many lessons is not to dismiss unconventional women like Sybill too quickly. As a result, Sybill stands out as a beautiful branch on the tree of mystic weirdos. Who knows what miraculous things we might discover if we take the time to listen to her? Existing as an exaggeration of teen girl melancholy, Moaning Myrtle is trapped in the school that bullied and eventually killed her. She’s pictured as forever crying in the girls’ bathroom on the first floor, unwanted and unmissed, with even her attempt at high school revenge washed out. There’s been so many perceptive conversations on the post-Kraus female gaze: wouldn’t it be interesting to locate Myrtle within them? She’s depicted as crushing on any boy that comes her way (be it Harry, Cedric or Malfoy), though the only thing she has to offer them is a toilet. Even her acne is “morose”. And then we have Bellatrix: crazy in love with the Dark Lord himself, escaped inmate from a madness inducing institution, and a total Amy Winehouse prototype in her aesthetic of long black hair, low voice and heavily-lidded eyes. 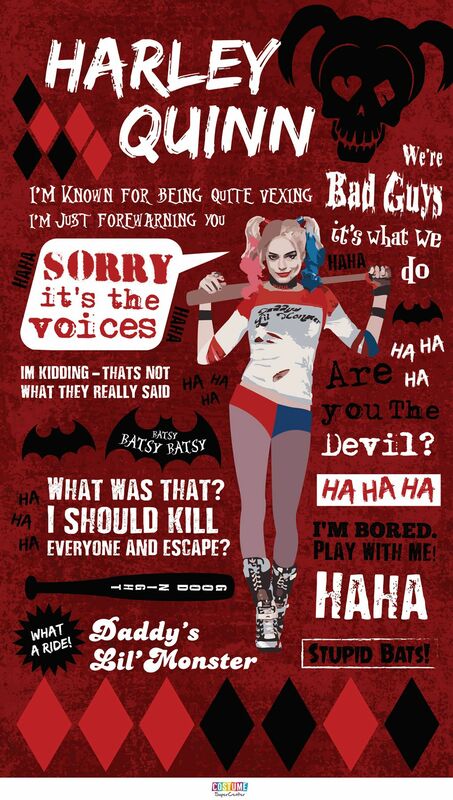 It’s striking how frequently certain traits reoccur in pop culture when we envision the criminally insane, especially when it comes to women. Much like Harley Quinn of the Batman universe or Drusilla in Buffy, Bellatrix talks in the bizarre baby talk so popular with the fantasy mad woman. We are presented with a woman infantilised. This is also at play in her relationship with Voldemort: she’s totally dependent and utterly out of control. If we can read Luna and Sybill as playful antagonists to such rational figures as Professor McGonagall and Hermione, Bellatrix serves as an active threat against Molly Weasley, the only true maternal figure Harry really has in the series. Sirius’ face may be the one burnt off the House of Black’s family tree, but it is Bellatrix who is the real destroyer of families: from the torture of Neville Longbottom’s parents, to the murder of her cousin (and Harry’s Godfather) Sirius Black and her own niece, Nymphadora Tonks. She even kills Dobby! In setting Bellatrix up as a total monster, it’s unsurprising that she became the only character to earn an all caps curse word in this child-friendly book. Because female evil has a particular kind of power, it provokes disgust in ways that others do not. 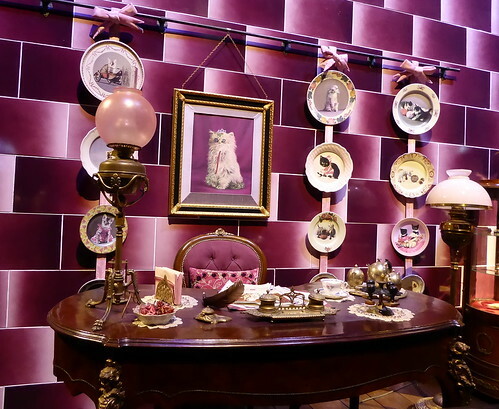 Consider Umbridge, another reigning villainess with her hot pink get-ups and kitsch cat study, a sort of Nurse Ratched of Hogwarts. To use the building blocks of femininity to make a monster harbours true horror, so it is the female villains, both mad and bad, that stand out most sharply when it comes to Harry’s nemeses. In the exaggerated fantasy world of Harry Potter this cast of mad women may seem like simplistic set characters of quirky creatives, cry-babies, unrealizable narrators and outright she-Devils. However, if we look closer at these ghostly voyeurs, escaped prisoners and outright eccentrics we can position these characters within a longer cultural history of ‘insane’ and outrageous women. Madness is often presented as a sort of magic and it is these mad women, existing in the already improbable space of witches and wizards, that push even further against our received ideas of rationality, respectability, even human goodness. Pottermore may have sorted me into Slytherin, but it is the Hogwarts House of Mad Women whose robes I choose to wear. › "Labour are as pro-Brexit as the Tories": what do Sinn Fein's MPs really want from Westminster?